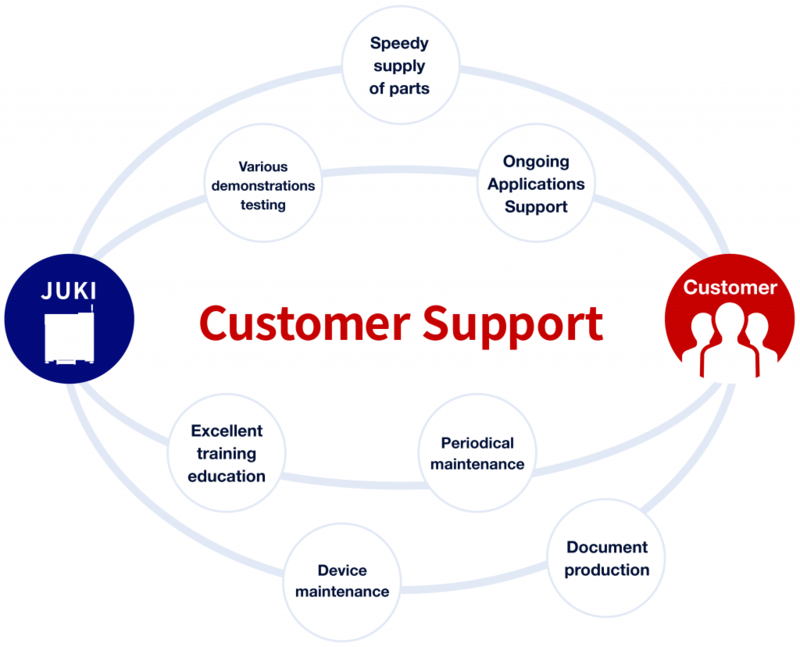 Customer Support networkFor more information about the Customer Support network of JUKI AUTOMATION SYSTEMS CORPORATION, Please click here. Demonstration & testThe JUKI AUTOMATION SYSTEMS CORPORATION demonstrations and experiments are being published. JUKI AUTOMATION SYSTEMS CORPORATION fulfills its Corporate Social Responsibility (CSR), and carries out sustainable “service activities”.